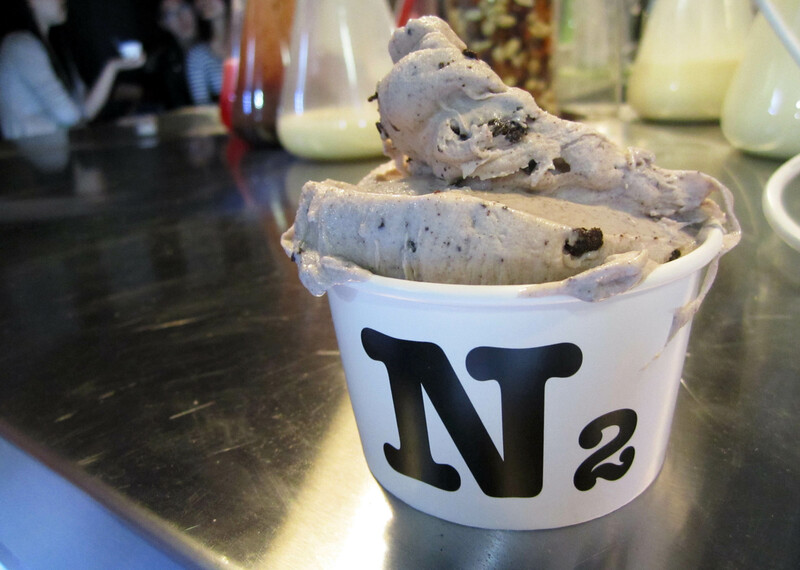 After hearing and seeing photos of N2 Extreme Gelato on Facebook, Miss K and I decided to take a visit to this place. There’s been many comments about it tasting very different and really good. We arrived with very few people, I guess that was good since we were in a hurry to a group meeting. There were two people dressed in laboratory clothes and goggles. And also two large cans filled with nitrogen! Their secret ingredient. I saw one of the guys fill the mixing blender with nitrogen and I could feel the coldness to it! We were also able to get a tasting of some caramel flavour. Honestly, it tasted like normal ice cream. I was quite disappointed as it wasn’t anything special. It did taste a little different, but it wasn’t super duper yummy which all the hype led me to believe it was. In the end, we ordered an Oreo something Cream Pie flavour with a fancy name. Tasted a bit like plain old cookies and cream with some little pieces of oreo to crunch on. The names of their gelato just made me think there was more to it. (Props to N2 for pointing out the oversight in the description). One scoop for $6 wasn’t really worth the price. I mentioned to Miss K said most of the cost probably goes towards purchasing their nitrogen. 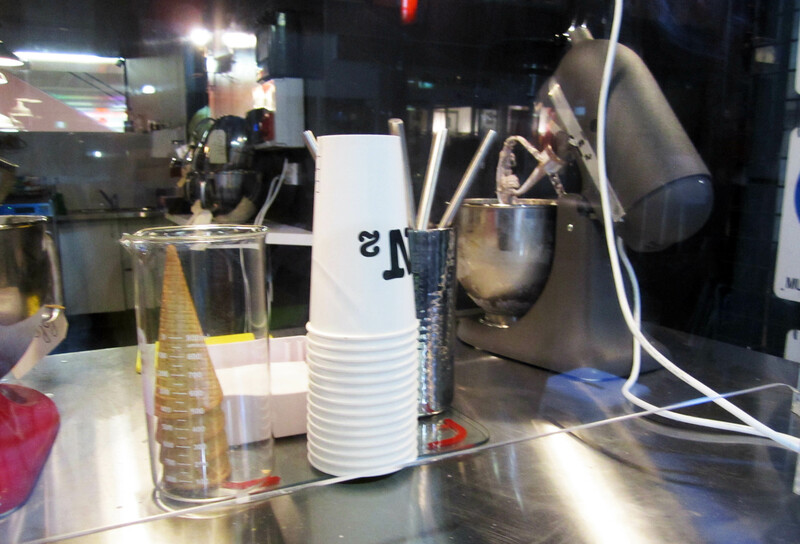 It was pretty awesome to watch them make ice cream on the spot. They fill the blender with milk, then the flavour and finally, nitrogen. The least kid friendly – engaging – fun ice cream ‘place’ I have ever been too! Don’t waste your money there are plenty of better gelato places in Sydney ! Did you just say cream pie flavour?